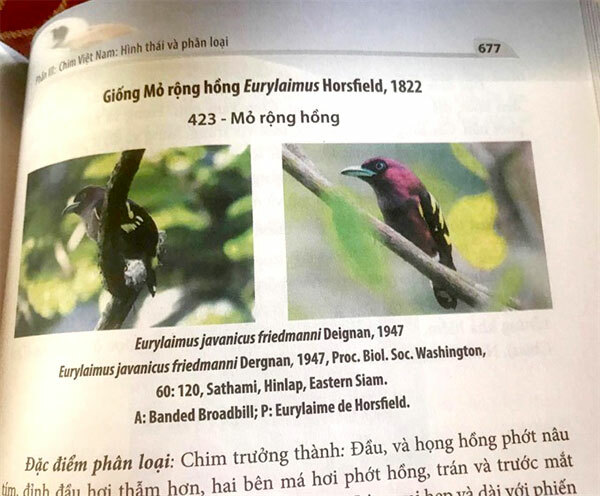 VietNamNet Bridge – Containing the information about 906 species of birds, the book entitled Chim Viet Nam (Viet Nam’s Birds) by biological associate professor Nguyen Lan Hung Son and late professor Vo Quy is considered as the most complete reference of Viet Nam’s birds up to date. However, as soon as the 1,200-page book was released early last week, it became the centre of a copyright controversy among Vietnamese photographers. Many photographers have surprisingly found their works used in the book as illustrations without any request from the author for their permission. “I have received no contact from associate professor Son until Chim Viet Nam was officially launched. 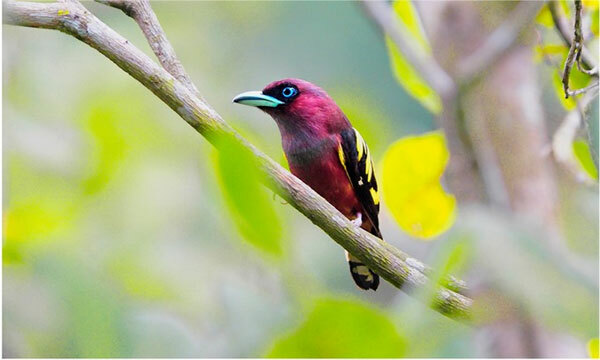 I have learned that my photos of birds appeared in the book’s via my friends and attendants of the book launch ceremony,” photographer Tang A Pau told the Viet Nam News. Three of his photos of Viet Nam’s rare birds, Malayan Night Heron, Banded Broadbill and Pigmy Wren Babbler, have been used in the book. To make matters worse, all the signatures, watermarks or signs of authorization have been edited away. He wasn’t the only one; other photographers have filed similar complaints. According to Pau, it takes tremendous time and effort to capture a good photo of a precious bird. “Capturing wild animals is the toughest kind of photography in terms of the photographers’ dedication and other factors like weather, topography and threats from dangerous animals. There were instances it took us up to two days to reach the mountain, sleeping overnight at a peak in freezing cold weather to capture just 10 seconds of a precious bird,” he said. Photographer Nguyen Tuan also had his work used in Chim Viet Nam. Though his photo of golden-winged laughingthrush was credited in the book, he received no request for permission. Furthermore, the books has been sold for commercial purposes, costing VND1.2 million (US$53) each. “We are always willing to donate the fruits of our works to nonprofit organizations or conferences that aim at conservation. However, we have and will never cooperate with commercial products, as we do not want to evaluate our efforts photos based on monetary values,” Pau said. Amid the rage of many photographers whose works were used without permission, associate professor Son has explained that the time pressure to finish the book by the deadline was the cause. “The source of the photos on the internet have not always been clear, and it takes much time to contact the authors. However, despite any purposes, it is crucial to credit the photos. That is the mistake that we have to take away from the experience,” he wrote, adding that he wishes to send his sincere apology to the photographers. He also mentioned that the book has been withdrawn for adjustments and corrections. The photographers are invited to contact to associate professor Son via his email for approval and detailed information about the photo. If the publishing house receives no response from the photographers, their works will be taken out of the book. But such solutions have not satisfied the photographers. “The author of the book needs to contact the authors of the photos, not the vice versa. It is also unacceptable to ask to photographers to send emails to the book author to claim their authorization as an unwilling action,” Pau said.